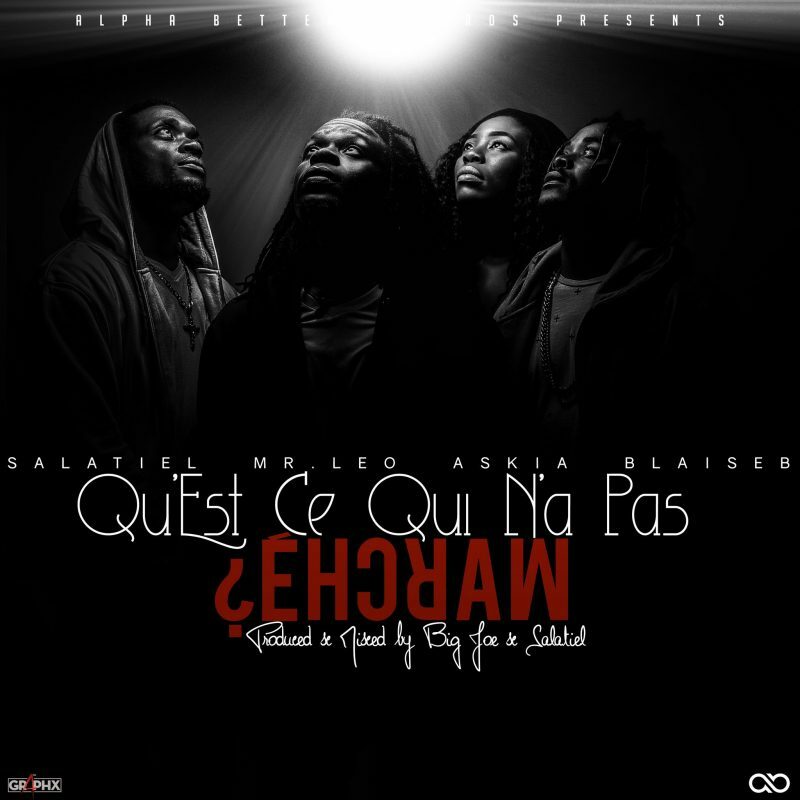 Team Alphabetter Records have released a new Big Joe produced single titled “Qu’Est Ce Qui N’a Pas Marche” and its no doubt guaranteed to be a banger. The track serves as their first official single features all the artistes housed by Alphabetter Records. Waste no time and consume “Qu’Est Ce Qui N’a Pas Marche”, which sees Salatiel, Mr. Leo. Blaise B and Female rapper Askia. in action. The song was Mastered by Salatiel. Do not forget to tell us if the track is a hit or miss in the comments section below!